Cry over spilled milk: to be upset, worried or unhappy about something that cannot be changed. Sometimes the best you can do is to stop crying and feeling sad and do the best you can with a situation (e.g., drink the milk off the floor - just kidding). This idiom is usually used in a negative form with "don't" or "there's no use." This is because we are referring to something that has already happened and cannot be changed. The phrase "there's no use" means that trying to do something won't help in this situation (so don't bother to try and change it). I'm sorry you lost your mobile phone but there's no use crying over spilled milk—you'll have to buy a new one. If you're finished crying over spilled milk we'll go buy you a new balloon. Ugh, there goes the bus! Well, let's start walking—there's no use crying over spilled milk. I know it's useless to cry over spilled milk but I dropped to the floor and cried for at least five minutes anyway after my stylist gave me a terrible hair cut. Sit down and stop dancing around with your ice cream cone. I don't want to listen to you cry over spilled milk when you drop it. My sister always used to cry over spilled milk but after she was diagnosed with cancer she's realized it's silly to focus on life's little problems that can't be changed. I know you're upset the airline lost our luggage but let's enjoy this holiday anyway. What's the use of crying over spilled milk? I cannot believe I forgot to pack my cocktail dress for the gala dinner. Well, there's no point crying over spilled milk. I'll have to go shopping for a new one. 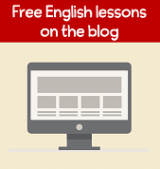 If you found this idiom useful, sign-up for my free newsletter to learn about new idioms and other updates to my website. Writing your own sample sentences will help you practice your English and remember this idiom in the future. When was the last time you cried over spilled milk? 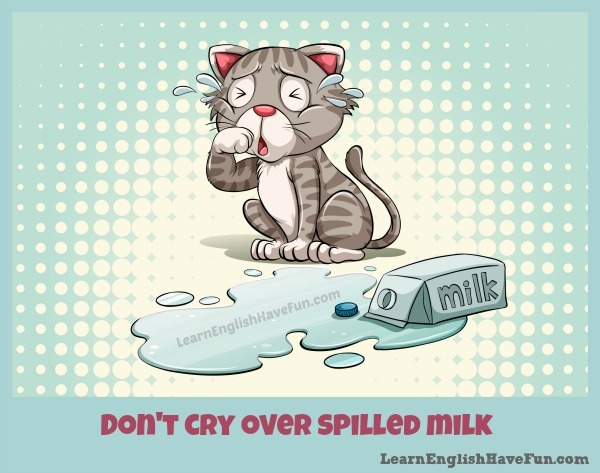 Do you know someone who often cries over spilled milk. Do you have this idiom in your language?